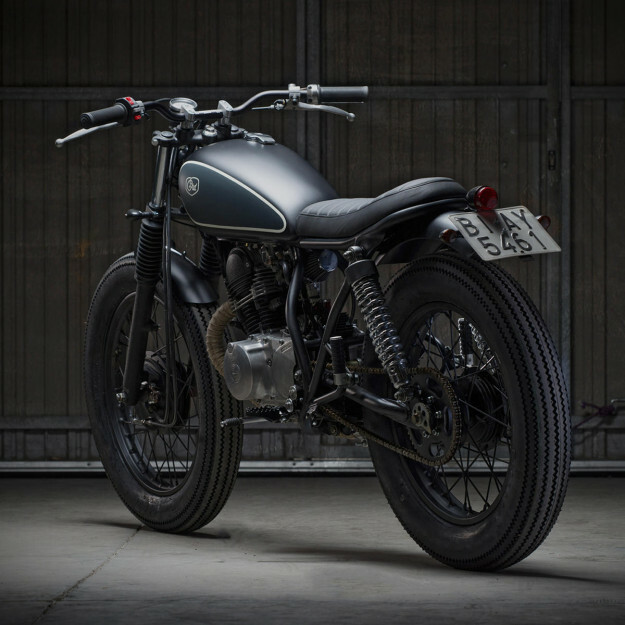 Let’s be honest: most of the bikes that make waves on the custom scene are big-budget builds. They cost as much as a new motorcycle driven off a showroom floor. And that’s fine, because that’s the price of personalization in a commoditized world. High-level artistry does not come cheap. 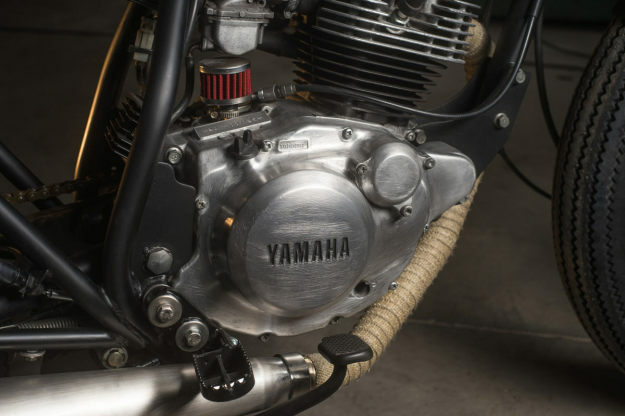 But it’s still refreshing to see a leading builder apply a little magic to a bare-bones bike like the Yamaha SR125. 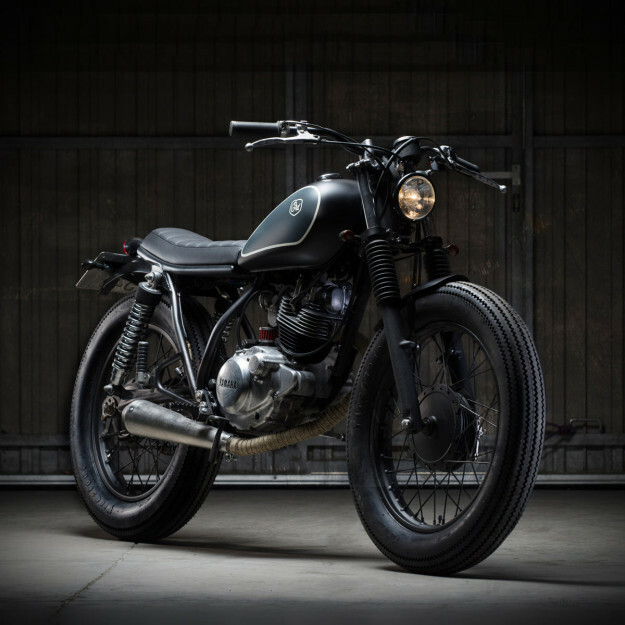 The SR125 is popular in Europe as a learner motorcycle, and for good reason. It can be picked up secondhand for a few hundred euros or pounds. It’s tough, reliable and easy to handle. So it’s perfect for the teeming streets of a busy European city like Bilbao—where Alain, the owner of this machine, lives. We’re pretty sure this is the most stylish SR125 roaming the streets of northern Spain, but that’s no surprise: it’s the latest machine from Café Racer Dreams. It’s also the 56th build to roll out of the Madrid workshop, a remarkable achievement in itself. 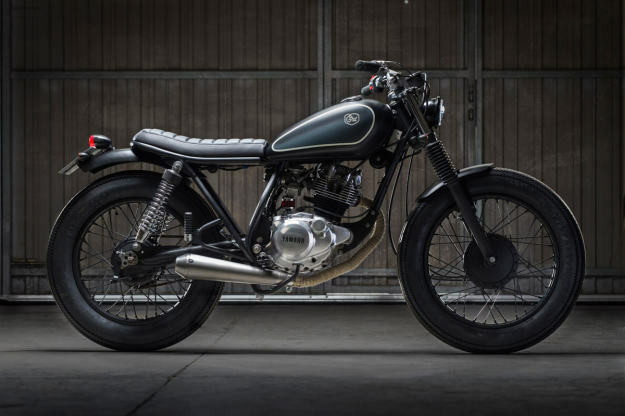 Pedro García and Efraon Triana have treated “Little Baby” with the same care (and flair) normally reserved for their vintage BMW and Triumph Bonneville builds. Over two months they stripped back and rebuilt the 1989-spec bike, giving it a new rear subframe and seat unit. Up front are Betor forks and Renthal Ultra Low bars fitted with CRD’s own switchgear for a super-clean look. The overhauled engine has been painted and polished, with the Mikuni carb now breathing through a CRD pod filter and gases exiting via a raspy Megaton exhaust. 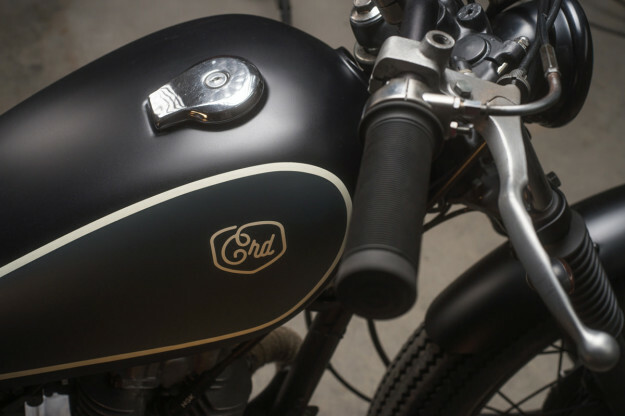 CRD’s own compact front and rear lights add a retro vibe, and the bike has been rewired with a discreet ignition system. The paint, of course, is immaculate, and on this machine extends to the refinished wheels. 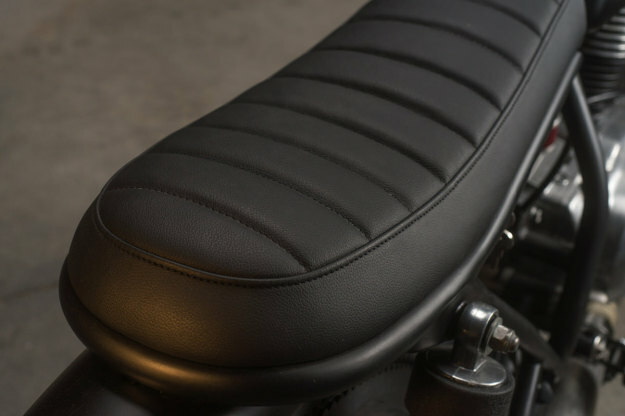 Who’d have thought a humble SR125 could become so elegante?